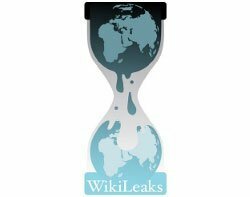 Police have arrested five men in relation to the denial of service attacks on firms that withdrew support for Wikileaks after its controversial release of classified US diplomatic cables. Detectives from the Metropolitan Police Central e-Crime Unit (PCeU) arrested the five men in connection with offences under the Computer Misuse Act 1990. The five aged 15, 16, 19, 20 and 26, are being held after a series of co-ordinated arrests at addresses in the West Midlands, Northamptonshire, Hertfordshire, Surrey and London at 7am today. The PCeU said the arrests relate to "recent and ongoing distributed denial of service (DDoS) attacks by an online group calling themselves 'Anonymous'." "They are part of an ongoing Metropolitan Police investigation into Anonymous which began last year following criminal allegations of DDoS attacks by the group against several companies," said the Met in a statement. The investigation is being carried out in conjunction with international law enforcement agencies in Europe and the US, said the PCeU. Anonymous claimed responsibility for attacks on Amazon, which removed Wikileaks data from its EC2 cloud computing service after pressure from the US government, as well as sites such as PayPal and Mastercard which refused to process transactions for people donating money to Wikileaks.